My School Depot, takes away the hassle of queuing up to collect student supplies from schools as they get promoted to new classes. They offer a comprehensive mix of school supplies ranging from school uniforms, books, stationary, shoes etc. The best part about My School Depot is that it is a 24x 7 store that allows parents to order at their convenience and get the order delivered at their doorstep or can even pick it up from their school or the nearest store. A venture of Penpencil Technologies Pvt. Ltd, My School Depot has been set up by some of the brightest minds in the industry. They have brought their rich experience from leading universities in India and USA to find a simple solution for the year round struggle of parents in finding right supplies for their kids. They have partnered with Schools and suppliers to cater to all the needs of the students thus saving parents’ time and energy. Create bespoke portal for different schools. 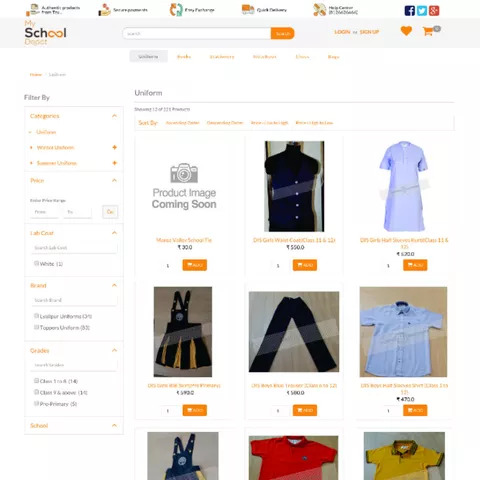 Each school had its own inventory and needed an easy centralised management. Allows customization to fit in their unique requirements and integrations. Delivery of the project in record time. 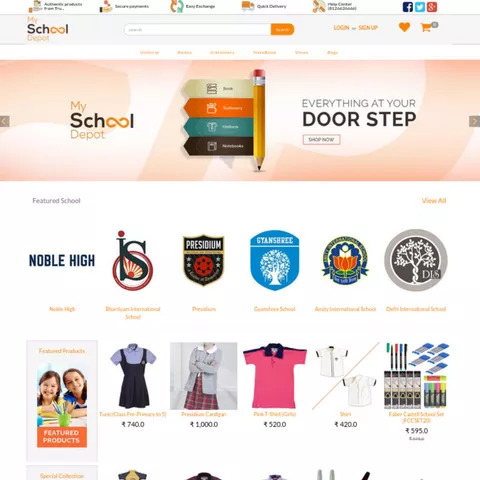 StoreHippo, used multi store ecommerce solution along with its host of unique features to provide the multi store solution to My School Depot. 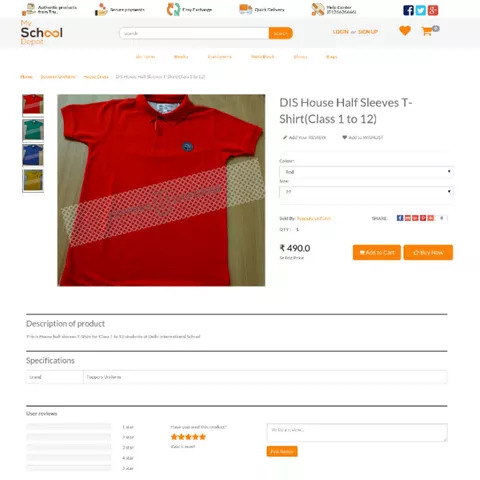 We were able to implement beautiful storefronts for each school while keeping a common admin dashboard thus making it easy to manage the whole business. StoreHippo eCommerce platform also developed the mobile and iOS apps to increase their m-commerce reach. Our flexible system made it easy to integrate local shipping partners who ensured faster hyperlocal delivery. The other requirements of the portal were managed effortlessly as the StoreHippo is a well rounded ecommerce platform offering many features to handle the requirements of multi store ecommerce. Multiple storefronts each with its unique URL. Easily manageable single dashboard for all stores. Easy to offer special discounts for a given store and target audience. Scalability to add any number of stores as the business grew. Flexibility to add new workflows or features when required. Mobile and iOS apps that allow to explore m-commerce.